Have you ever wondered what it must have been like to live during the time of Christ, and to have actually witnessed those important events that took place to change the world? Imagine what it must have been like to witness the excruciating final hours of his mortal life. We would have watched as he was beaten, scourged with 39 lashes from a whip embedded with rocks and sharpened bone designed to tear and rip apart the flesh as it pierced His back. We would have witnessed the Man we saw heal the sick, raise the dead, give sight to the blind, and do nothing but show absolute love to everyone around him, collapse under the weight of the very cross from which he would hang. Imagine the sense of utter unfairness that we would have felt, as He was subjected to an illegal court and sentenced by the very ones who should have been preaching His gospel. Imagine the despair we would have felt when the man we came to believe as the Son of the Almighty God, allowed himself to be mocked, and nailed to a cross, and left to suffer for hours hanging there, as evil, self-righteous men laughed at him. Imagine the anger, confusion, dismay, and helplessness that we would have felt. We would have pleaded with Him to lift His hand, and stop the injustice! We would have wondered why, why, would he allow those evil men to win? We would have felt just as He did, that we were abandoned, and forsaken by the very God of whom He testified. How could such an injustice be allowed to occur to His own Son? How would we have felt when we could see, through those men, the devil himself claiming victory over the God of all creation? imagine what it would have felt like seeing the only hope for mankind hanging lifeless on the cross, seemingly defeated by flawed, mortal men. How trying on the faith of His followers must it have been? Imagine seeing the one who you had gained a testimony of, bloodied and bruised beyond recognition. The eyes that had emitted pure Godly love to you personally, now swollen shut and lifeless. Imagine how difficult it would have been to maintain your faith through that day, let alone for the days and years to come. There could be no darker feeling of hopelessness and total despair. He was laid in a borrowed tomb, and forgotten by many. Even His apostles went back to their former lives. Imagine that the storms and tumult have ended. The sun returns, and quiet has been restored. 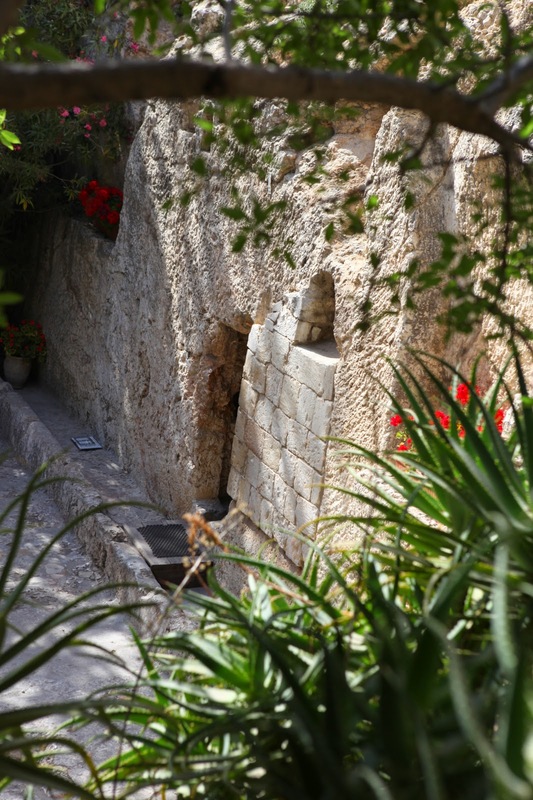 Imagine being in that secluded humble garden where, just as He did when He was born to the earth, He returned with humility and power. Imagine the hopelessness being instantly replaced with hope, the despair replaced with absolute joy! This was the third day, the resurrection. He had taken up again His body and was glorified. This is exactly why He is so integral in our life. It’s through him that all the sorrow is replaced with hope. Through him, death is not the end. Through him happiness can be eternal. This is why we need Him- So this contrast of dark and light can take place within ourselves. This is the message of the resurrection, that darkest night of sorrow and dispair can lead to brightest happiness and hope. rejoiced with Heaven at the sight! Of Risen Lord! In perfect form! With Peace, and Hope, and Righteousness! Enjoy our Father’s warm embrace.